Prince George's County police have identified the two people who were killed in a crash between a car and a taxi in Landover. 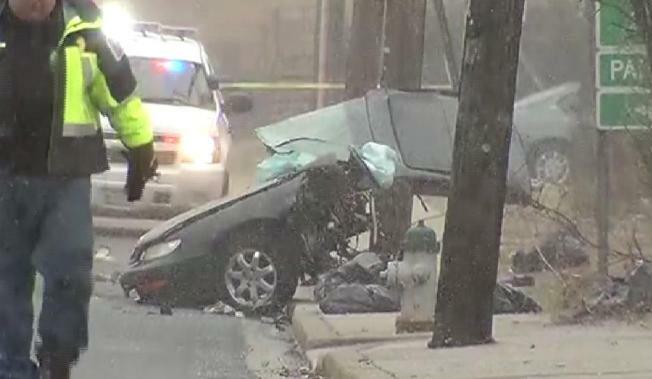 Twenty-one-year-old O'Sha Marquis Allen of White Plains and 18-year-old Daryl Deon Davis of Landover were killed in Tuesday morning's crash on Pennsy Drive. Authorities said the taxi remained on the roadway, but the other car split in half. The part of the car with two people inside traveled about 25 feet into a drainage ditch. Police said a preliminary investigation showed wet conditions and speed played a role in a crash.